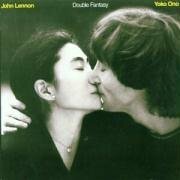 The first image on the page is for John Lennon & Yoko Ono - Double Fantasy, followed by the original. Also check out the most recent parody covers submitted to the site. Hi Loved the artwork - maybe it was done as a parody but - to be honest - it probably should have been the cover. It is superb. There is incidentally another poster of the two about 48" sq. - diff shot to cover - outside the Dakota - but even it - has nothing on this. 10/10 .